Randy concentrates his practice in insurance law, bad faith defense and general negligence litigation, including construction defect cases. He has successfully defended negligence and complicated insurance bad faith cases through trial and on appeal. His client’s include both national and regional corporations as well as many Montana individuals and businesses. He has been recognized in Chambers USA: Leading Lawyers in Business (Commercial Litigation) and by Best Lawyers in America. His skill in insurance coverage and bad faith litigation is amplified by his former employment with State Farm Fire and Casualty Company, during which time he earned his CPCU designation. He is admitted to practice before all Montana courts and the United States District Courts for the District of Montana. 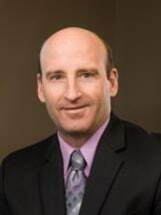 He is a member of the Western Montana Bar Association, Federal Bar Association, American Bar Association, State Bar of Montana, Montana Defense Trial Lawyers Association, CPCU Society and the Defense Research Institute. He is a treasurer of the Montana Defense Trial Lawyers Association and an active board member of the Grizzly Scholarship Association. Randy is a native of Montana, proudly raised in Anaconda. He attended Rocky Mountain College in Billings, Montana, earning a Bachelor of Science degree in Business Management in 1990. That same year, Randy obtained a commercial pilot license and became a certified instrument flight instructor. Randy is a 2003 graduate of the University of Montana School of Law and has been practicing with GLR since that time. Randy has three active children and they enjoy whitewater rafting, skiing and camping. He is an avid backcountry skier and trail runner, having completed multiple 50 mile races. He was a longtime volunteer Little League coach and he coached youth basketball in a variety of local leagues. GLR is committed to sustainable operations and supporting sustainable efforts in the community. In 2011, GLR moved into the Garlington office building. The six story facility in downtown Missoula was awarded Gold Certification in the Leadership in Energy and Environmental Design (LEED®) Green Building Rating Program.